In late August, a team of Fentress employees conducted long-range facilities planning sessions for three federal court districts in the Pacific: Northern Mariana Islands (Saipan); Guam (Hagatna); and Hawaii (Honolulu). The team helped plan for future space needs and assessed the condition of space within each court facility in these three locations. In Saipan, the court and GSA are in the planning stages for a new leased facility to house the court family. The long-range facilities plan produced for this district will help in the planning for this transition. The court occupies leased space in Guam in a facility that was constructed under prospectus level almost 20 years ago. 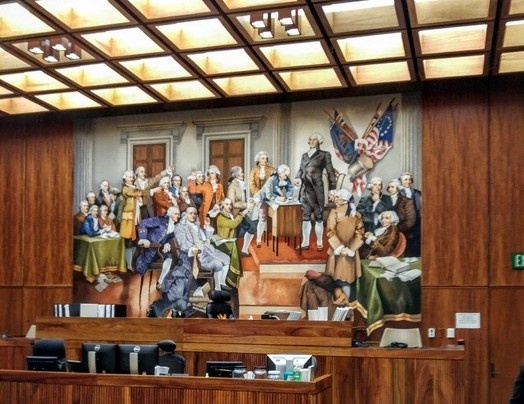 In Honolulu, a $120 million Recovery Act renovation project was completed in December 2014, essentially taking the building down to the studs to modernize and upgrade this 1970s facility throughout. The team greatly enjoyed learning about the many interesting political, cultural, and geographical nuances of these three Pacific districts.